I might have the 13 and 14s VINs somewhere if you want me to try to find them for comparisons. They were equipped very similarly. I could take a peek. I'm specifically wanting Mustang's VIN because he, even with the correct values, is not able to get the Climate menu to appear in the IPC. I really would like to see what the differences are between my Taurus data and his. I'm hoping I can forcefully enable the Climate menu because it doesn't make sense to me that it wouldn't enable. All the same hardware was present between 2013-2018. The only thing I can think of is a firmware difference, however my cluster is on the earliest firmware made for it and I have the Climate menu. I was able to change around the menu a bit, so the bits of codes were in fact doing something, but what was odd was that when i loaded it up to change that bit to F, it already was set to that value. With it set to F, all i had was Phone, Navigation, Entertainment. So what I'm thinking I'm gonna do is update my IPC firmware to the latest version and see if I retain the climate control menu. If I do, I'll be at a complete loss as to why in the world it won't enable on other clusters of the same model. Did you add this feature to a 2014 or a 2017? This feature as well as the secure idle does NOT work on my 2014 AWD Limited fully loaded w/ all electronic features (Active Park Assist,Lane Keep Assist, Blind Spot w/ Cross traffic, Auto High Beam, Heated/Cooled Seats, Multicontour Front Seats w/ Active Motion, Rain Sensing Wipers, Intelligent Access, Heated Steering Wheel, Heated Rear Seats). Maybe with all the added options added to the I/C it may require more than one value being changed. I can verify it isn't more than one value. which is unfortunate. I'm concluding this is a firmware difference as the hexadecimal data between several VINs, including mine and Mustang's, is the exact same. I will update my IPC to the latest firmware tonight and see if it screws me out of the Climate menu. If it doesn't and I still have it, this will be quite the anomalous situation. Believe I added this in my 2014 Taurus, and I have it in my 2017 Explorer now. Secure Idle probably wasn't in the firmware for a 2014. 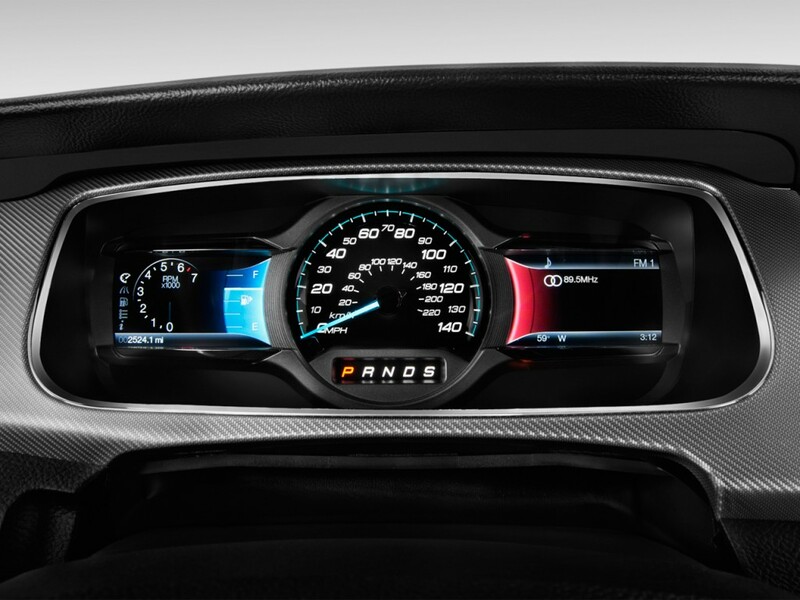 Wait, so you're saying your 2014 Taurus was able to display the Climate menu? There is a difference in the 2013 and 2014 cluster that might play a role. The warning icons and such are moved around and in different locations. Perhaps this might be part of it, but the 2013 cluster seems to have a unique GUI look to it. For instance, this is a '13 cluster. All those icons on the far left in the left window...I don't have those. They appear elsewhere. Also the right screen looks slightly different as well. It potentially could be a hardware difference then. I only came across two model numbers ever with the Taurus. Well, what we CAN do is swap the "older" cluster into your car. That would solve the issue at least.